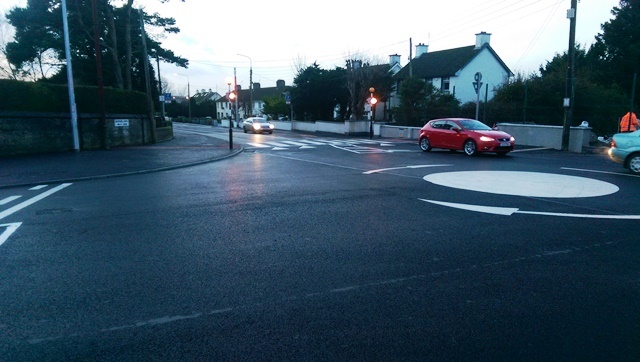 This contract involved the upgrade & enhancement of the existing junctions along the N80 & R445 with Block Road, South Circular Road and Fielbrook Road. 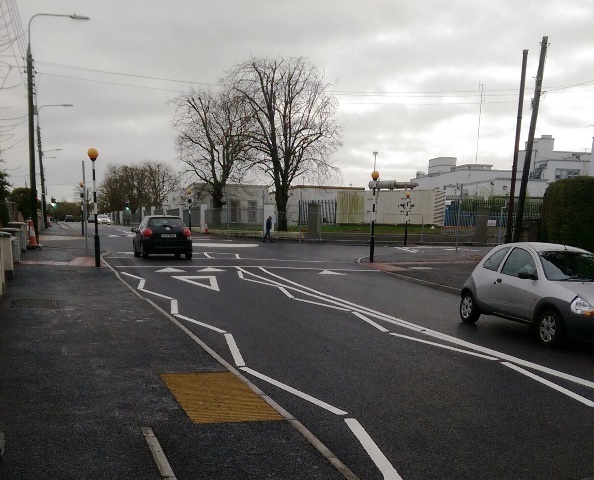 The improvement works to the junctions included upgrading of pedestrian and cycle facilities. The works also included the construction of new urban roundabouts. The works will involved raised pedestrian crossings and modified horizontal and vertical alignment. 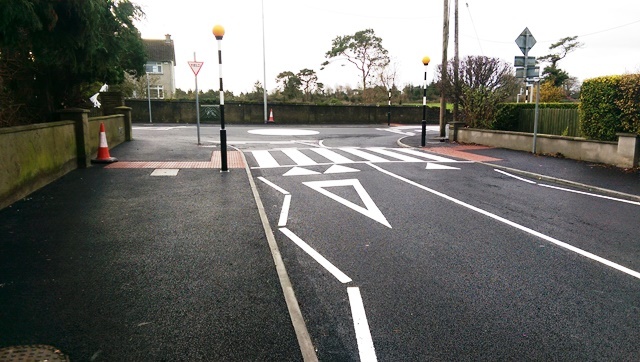 The works also involved traffic calming ramps along local estates. Works on the N80 involved construction of new roundabouts at the N80 & Block Rd Junction and N80 and South Circular Road Junction. 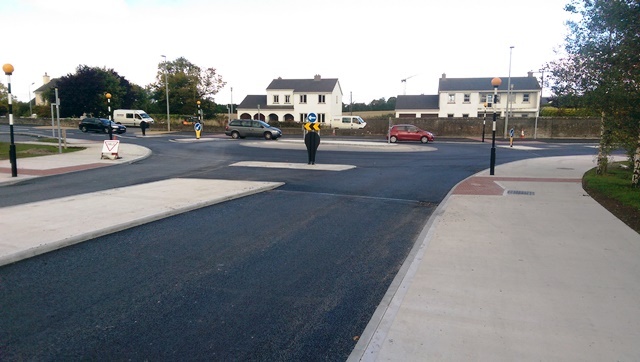 Works on the R445 Dublin Road involved new macadam roundabout at the R445 & Fielbrook Road Junction and Realignment of the Block Rd & R445 Junction at the Midlands Hospital prior to installation of new roundabout. Works at all junctions involved new kerbing, ducting & drainage, public lighting, road construction, road resurfacing, concrete & macadam footpaths and pedestrian crossings. 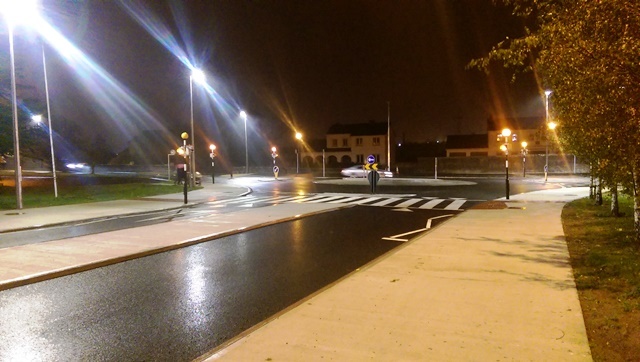 This Project was carried out on extremely busy roads and required a very high level of phasing & coordination of the works in order to progress the works as efficiently as possible while minimising impact on traffic. 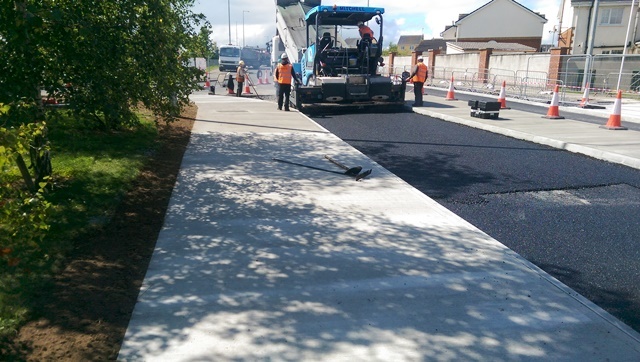 Works on the N80 required completion prior to local schools reopening in September. We Designed & Implemented a Traffic & pedestrian Management plan for each phase of the works in order to achieve this. Traffic Volumes on both theN80 & R445 were 16,000 AADT Works also included the demolition of existing blockwork boundary wall at HSE Regional Hospital and setting back & reinstating further into HSE property to allow widening and realignment of Block Rd & R445 Junction. Works involved removal, restoration and re erection of cast iron railing to the top of the wall which required reworking to suit new radius.